Can you go faster with the right amount of air? Yes you can! Tire pressure, while simple on the surface, creates many variables and tire managers would be well served to be aware of the changes that can occur when filling up your tires. Tire Pressure has an affect on spring rate, stagger, cross weight, and the tire foot print. 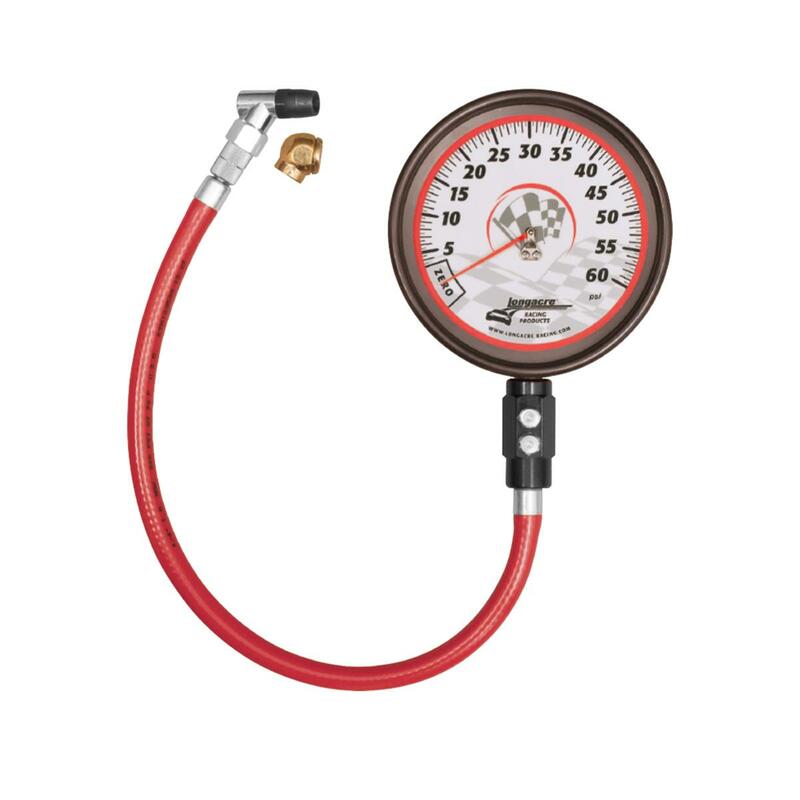 Each item needs to be considered whenever you make an air pressure change. 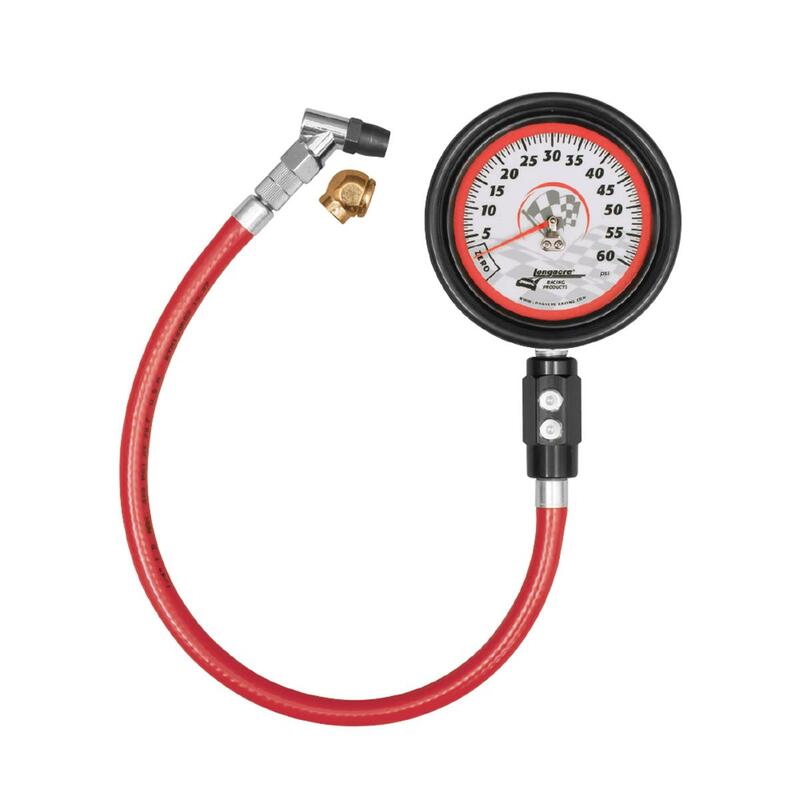 Air pressure is a significant adjustment and top teams know that the importance of air pressure is equal to springs, shocks, geometry, as well as all available chassis adjustments. Adding air to tires adds spring rate. Subtracting air decreases sprint rate. Teams can use this knowledge to their advantage and dial in tire pressure adjustments to maximize corner speed. At times, a minor air adjustment, to add spring rate, is better than making a spring change. 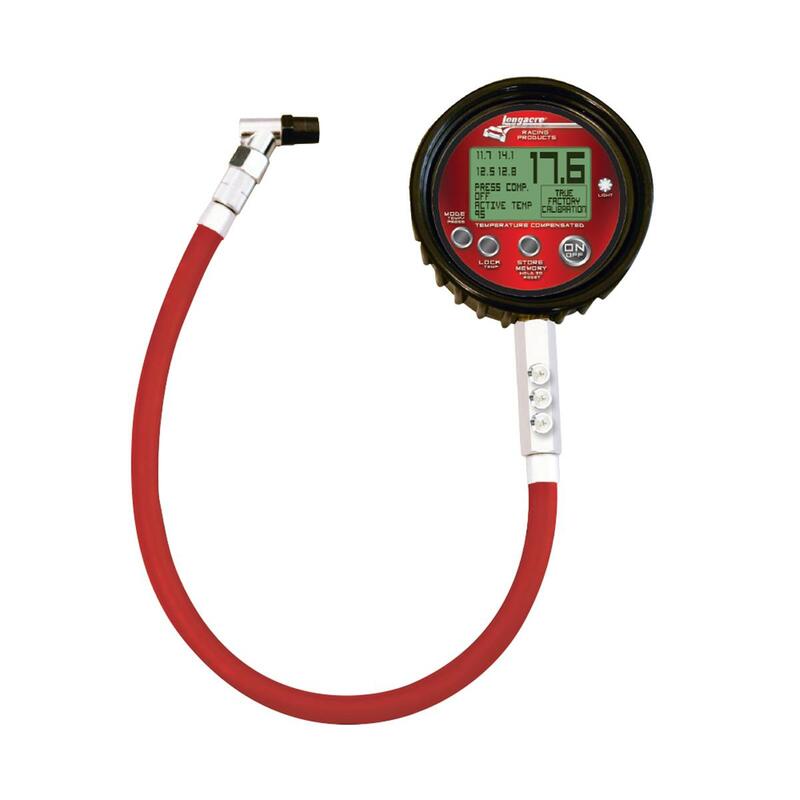 Cars can be dialed in to a higher degree if attention is paid to air pressure balances. Changing the air balance at each corner as well as working with the differential between right/left side and front/rear splits can and will allow you a more adjustable car. Short track cars, that run bias ply tires, rely on stagger to get through the turns. Air pressure has a dramatic effect on stagger. More air on the right increases stagger, more air on the left decreases stagger, less air on the left increases stagger, and less air on the right decreases stagger. 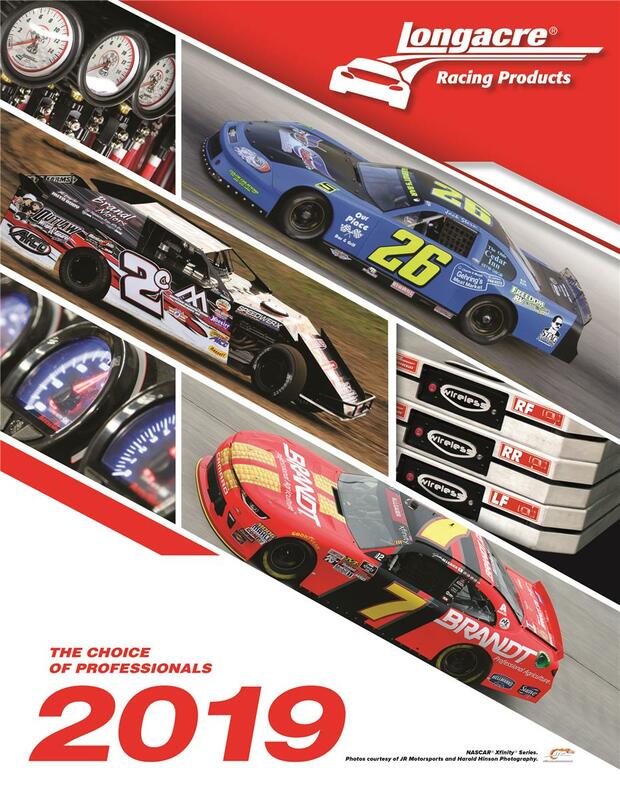 For oval track cars, the roll out of the tires favors a smaller left rear as the radius of the turn is a shorter distance for the left side tire. Proper air adjustments help to match the tire roll outs, both left and right, to your track. Everything has a cause and effect. When you change tire pressure you are changing the cross weight as well. You can change cross intentionally, with air pressure changes, or you can re-adjust the cross back to your desired amount and use the air to simply change stagger. You will find that during pit stop races that adjusting air can give you a wide range of adjustability. You can add stagger in the rear which takes out cross to free up the car which is great for a tight car. Or, you can add rear stagger and add front stagger. Adding front stagger adds cross where as adding rear stagger takes out cross. You can manipulate air pressure to just add stagger for a finer adjustment. At times, you can add rear stagger to get the car through the middle and then add a higher amount of front stagger to load the sway bar for a tighter exit. More air reduces the size of the contact patch and less air increases the size of the contact patch. You can consider contact patch when making adjustments. Lower air pressure puts more rubber on the ground and that corner will have more grip. Too much of a good thing can cause problems but you can think about how more or less contact patch, due to air pressure, can help to adjust the car. Radial tires react differently to air changes as compared to bias ply. Spring rate is more noticeably affected by air pressure changes. Air adjustments affect the contact patch changing the grip characteristics in a dramatic fashion. Radial tires do not grow with tire pressure. The steel belts are rigid and size consistency is built in. NOTE* Stagger not affected on radial tires. Looking at the charts 1A and 1B you can see that adding air adds size, rate, and decreases foot print regardless of the corner on the car. However, cross and stagger change up and down depending on the corner. You can use these variables to your advantage. Look at the charts below and study the suggested changes. Remember, these are recommendations and adjustment options; your team needs to consider all variables and line up possible changes with real world conditions. The charts below only consider a few air combinations and are designed to get you to think about potentially helpful air changes only. There are thousands of combinations, but understanding the possibilities will help you to understand that it is more than air! 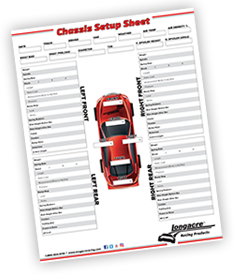 The idea is to add to your "Chassis Fix Tool Box." Just remember that air pressure works in conjunction with springs, shocks, sway bars, caster, camber, geometry, aero, and driver style. You will need to decide when you options are best applied. The combinations are endless, choosing the best adjustment is why we race! Correct air pressure can maximize side bite. Too much air crowns the tire surface reducing adhesion. Not enough air concaves the surface reducing the contact patch. Utilizing the proper amount of air stretches the contact surface taut between the structure in both side walls, keeping more rubber on the ground, improving grip and wear. Proper camber settings assist in keeping the tire flat on the ground. Using proper tire pressure, which is within design parameters for the specific tire, will make more side bite. Picturing a drag car launch off the starting line gives you an example of forward bite. In drag racing, it is common to see the tire wrap up and "wrinkle wall" under initial acceleration. As the drag car speed increases, and the initial acceleration forces even out, the side walls return to their more normal shape. Less air pressure promotes forward bite. BUT, it can come at the expense of side bite if you do not maintain normal tire shape at the contact patch. Adjusting air pressure is a compromise of creating a more forgiving initial acceleration without sacrificing too much side bite. In the drag racing example you can visually see the tire wrap up, absorbing the initial acceleration forces. Your oval track car needs the tire to absorb the initial acceleration forces, to launch you down the straight. Adjusting the air pressure, just right, can give you an advantage. Be careful though, low pressures will lead to tire slippage on the wheel. Low pressures can come at the expense of side bite as well. Based on the needs explained in the Side Bite and Forward Bite sections you can see the need for proper tire selection. Air pressure can only fine tune your tire size, drastic changes are not possible. The air pressure range, at each corner, is only a few pounds. Drastic air pressure changes that attempt to alter the original size of the tire result in inconsistency and poor tire performance. Stagger consistency is hampered as well. Be sure to buy your tires right so that you can use the right amount of air pressure. Using air pressure to "stretch" tires is a myth. Bias Ply tires are like balloons and if you over-inflate them they will grow, but don't be mislead. The tire will retain the artificially "stretched" size for only a short time and it will return to its original size. To truly "stretch" the tire you would need to break down the stiffening bands in the tire. You would need to grow the side wall as well. Really, excess air that would break down the tire structure would simply damage your tire. Too much air puts you in a dangerous situation. Consult with the tire manufacturer, and during initial inflation, simply air up your tires to the maximum recommended amount. Air new tires to the same pressure each and every time and your air pressure will create more consistency. Utilizing processes that are respectable makes your air adjustments and tire sizing more predictable. Lower air pressures can promote grip. However, air pressures that are beneath tire manufacturer recommendations can lead to side wall damage creating flat tires and even blow outs. Always maintain recommended tire pressures. If you have a tire with a hot pressure of 30 lbs, and you wish to drop it to 5 pounds, you must remember that the air you are letting out is expanded from its ambient temperature state. While the hot 30 lb tire, when dropped 5 pounds will be at a hot 25 lbs, the tire will drop several pounds when it returns to ambient temperature. Be sure that you check tires before the car goes out on the track to verify that the pressures are safe. When hot, our example tire was dropped to 25 pounds. After a half hour, this same tire could be down to less than 20 pounds due to the tire cooling and losing the effects of thermal expansion. Always check your tire pressures and understand the effects of thermal expansion. Many top teams know the tire pressures increase with temperature. Straight air contains moisture which expands more rapidly than oxygen. To combat the problem, nitrogen is commonly used to pressurize race tires. Commercial grade nitrogen is very pure, nearly moisture free, inexpensive, and is readily available. While nitrogen does not add to the moisture content, there is moisture filled air and water already in your tire. Air is present due to atmospheric pressure and water is often spilled in during the mounting process. Tire beads are commonly "soaped" with soap and water to reduce the friction thus protecting the bead during the mounting process. Tires also have moisture trapped in the rubber which releases as the tire gets hot. If you could put the tire into a vacuum condition, you could removed at least some of the moisture and removed the moisture filled atmospheric air that is inside. Practicality dictates that vacuuming the tire interior proves to be difficult and expensive. A more practical solution is to simply purge the tire. With proper purging you will see one to three pound reduction in your hot pressures due to the effects of thermal expansion. To get the most from purging you need to replace the air with as much nitrogen as possible. Before initial filling, pull out the valve stem and drain out all the air. Push on the tire to squeeze out as much air as possible and then replace the valve core. Fill the tire to the maximum recommended air pressure utilizing commercial grade nitrogen. Drain the tire down to 1 lb. Leave in one pound of nitrogen to "hold out" the atmospheric air. Fill the tire again with your nitrogen to the maximum recommended pressure. Then, drain your tire to your desired pressure. You can repeat the process as often as you like but you will see the most benefit after two purgings. Be sure that your hoses are moisture free and use care not to spill water inside tires during the mounting process and you will see lower amounts of thermal air pressure expansion. 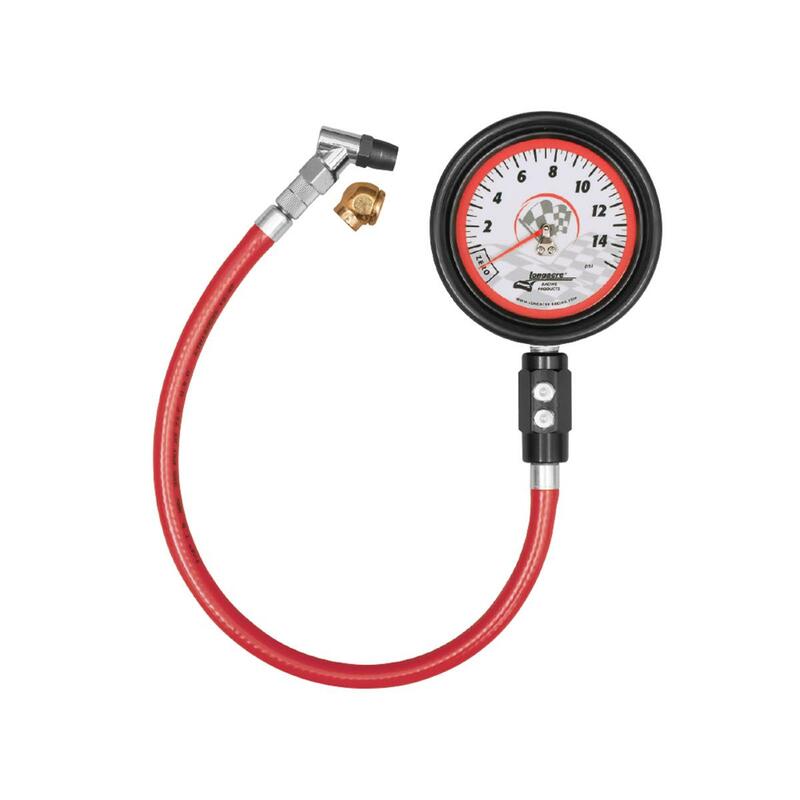 Selecting the proper tire pressure gauge is paramount to proper air pressure. You must have an accurate and repeatable gauge. Gauges are typically supplied in 15 lb, 30 lb and 60 lb ranges. 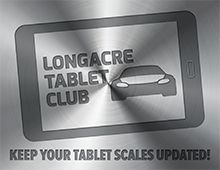 Be sure to select the lowest tire pressure range that fits the actual range of your tires. 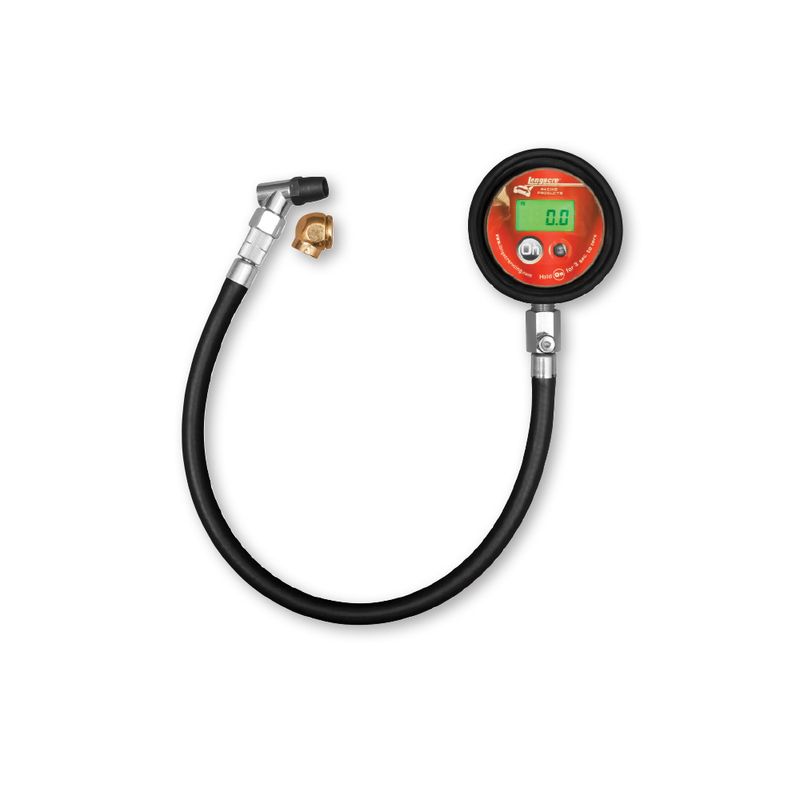 Tire pressure gauges are precision instruments that need to be handled with care. Dropping gauges can damage the internal components and have a detrimental effect on accuracy. 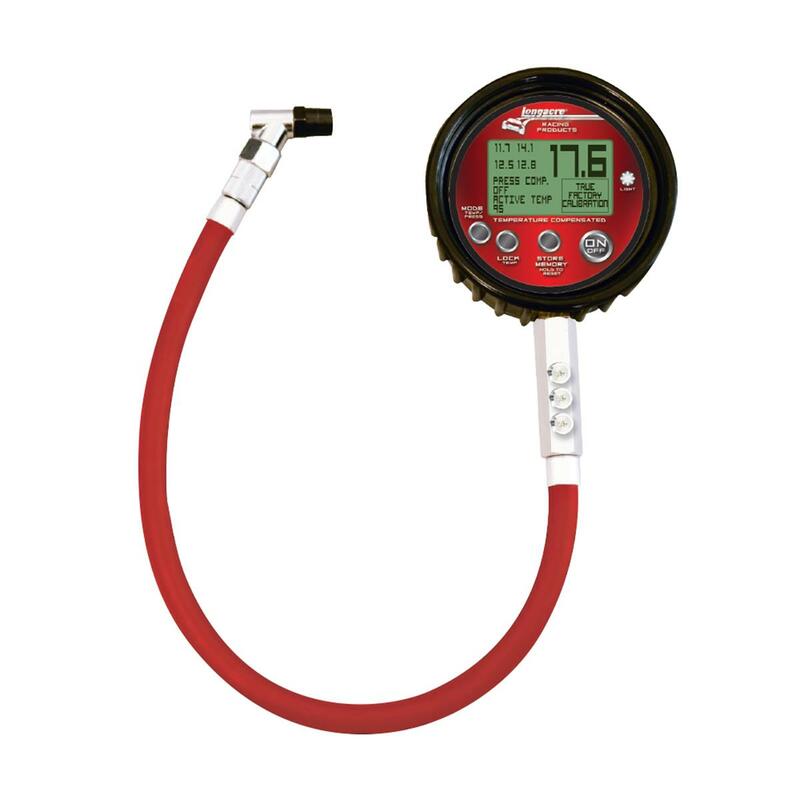 If you know you have dropped your gauge, check it against a known accurate gauge and verify if you are still getting correct readings. Use your racing gauge only on the race car. 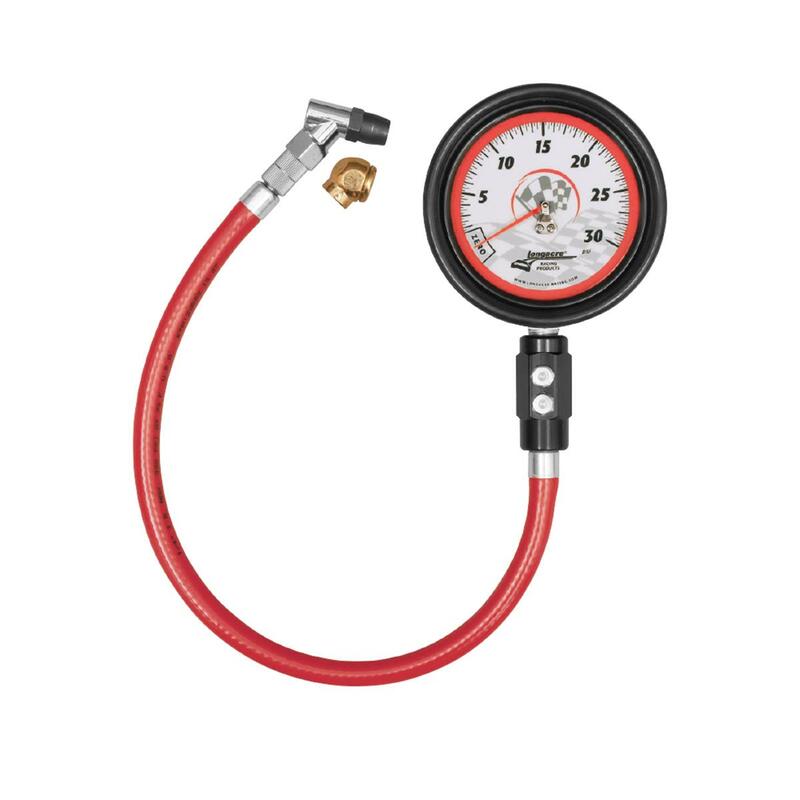 Trailer tires run higher pressure and you should have a separate gauge for those types of uses. You must also decide on gauge size. 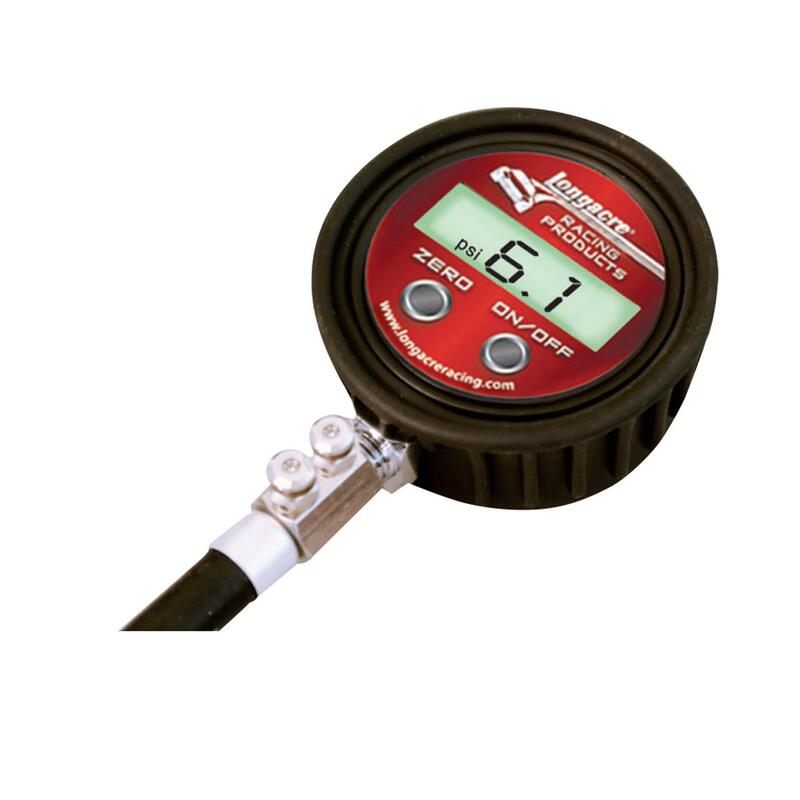 Bigger analog gauges are easier to read and you want to choose gauges that show the most resolution. 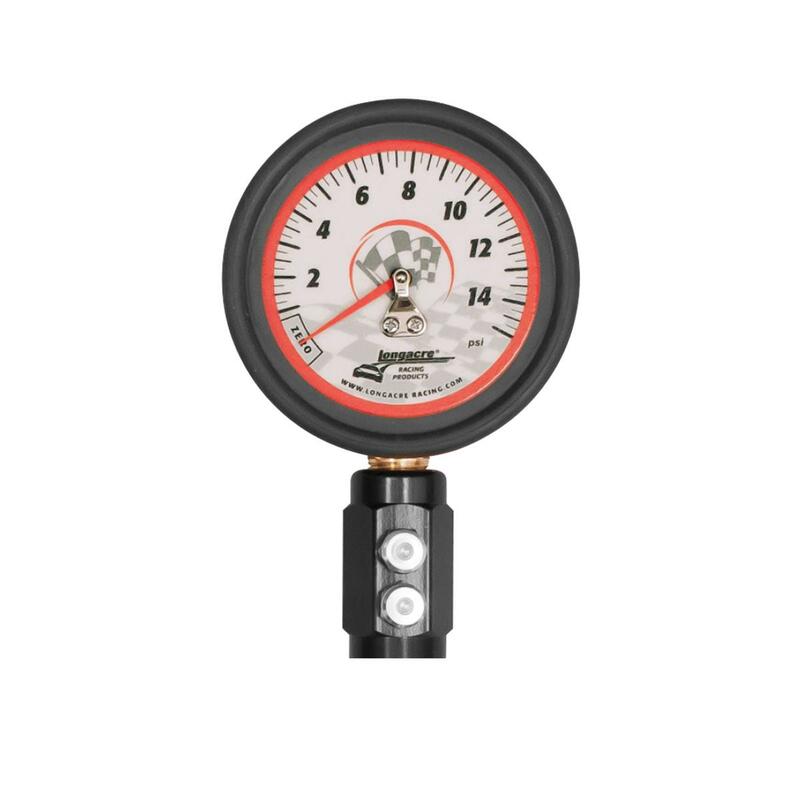 Which ever you decide, make sure to purchase a high quality and accurate gauge from a proven source. 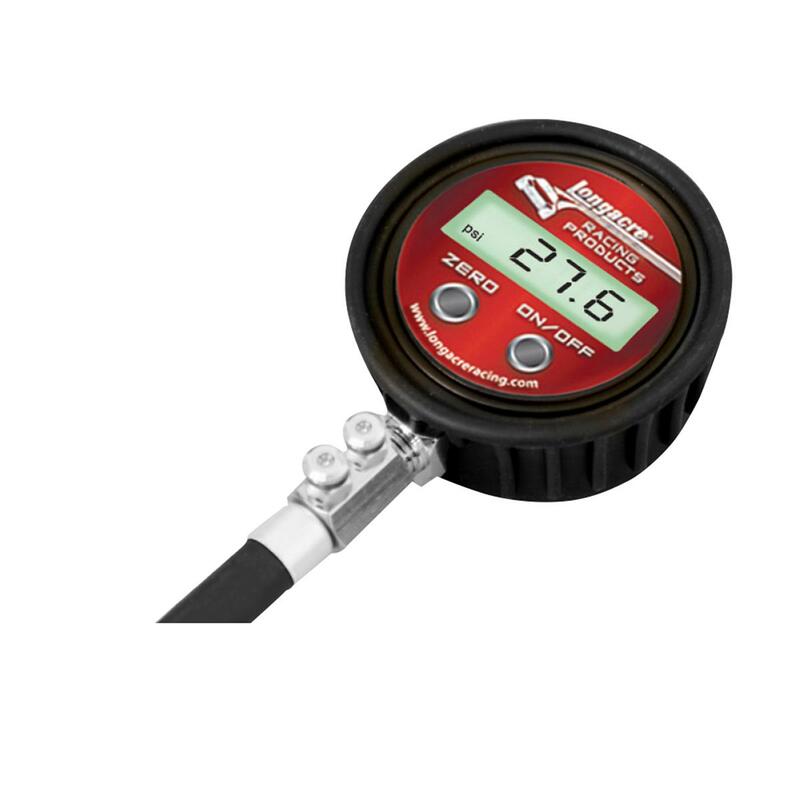 Digital tire pressure gauges can increase accuracy and resolution but be careful and realize that digital accuracy comes at a price. Digital models can increase resolution allowing you to make subtle changes right down to 1/10th of a pound.